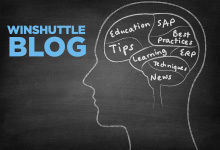 We often talk about the Winshuttle sweet spot, a zone of business activity that we consider to be the ‘ideal’ target area of activity associated with data management in SAP. This falls into the category of work where there is enough volume, complexity and process stability ideal for automation. Generally we consider it to be an area where more than a few fields need to be updated on a half dozen records or more. 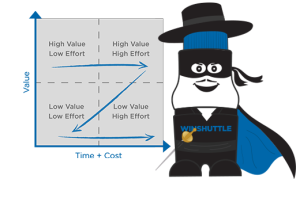 While reviewing a past customer presentation, I was interested to learn that their position of the Winshuttle sweet spot was slightly altered. 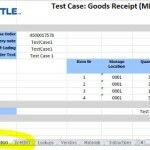 The Winshuttle automation zone wasn’t as simple for them and technology like traditional SECATT scripts were also in use. The same could be said for LSMW or custom ABAP programs. If the volumes are high enough and the process is sufficiently stable, then a developed software program might be a better option. When weighing your options, it is worthwhile to consider the nature of the problem you’re trying to address in a pragmatic and rational way. I find that Winshuttle users like to try and achieve maximum coverage with tools like Winshuttle Studio because they want to simplify the process, test the boundaries of what they can ‘shuttleize’ and maximize their return on investment, using Winshuttle products. 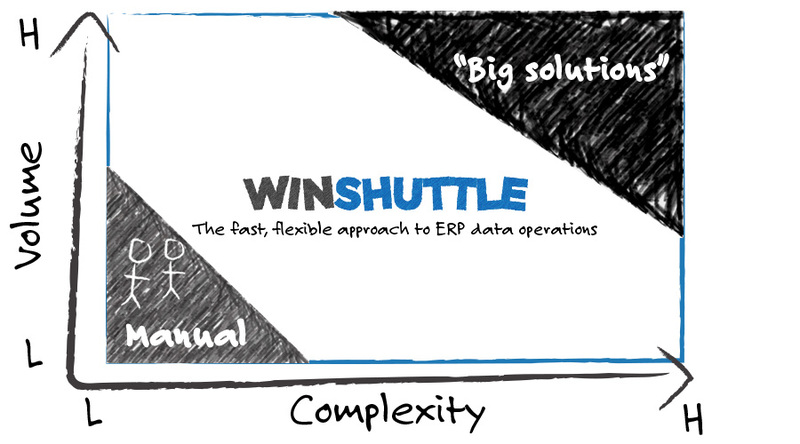 Many users would like to apply Winshuttle automation to almost everything, but in reality this isn’t possible and in some cases shouldn’t really be tackled. When we initially promoted the lean concept of the Value and Effort automation scenario mapping, we described it as the Zorro implementation methodology. 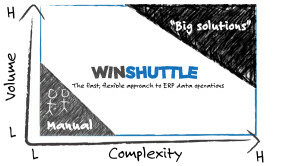 Every Winshuttle Automation scenario is assigned these attributes. This could be classified as a process automation, wherein Effort translates into Cost. What this means is an association of business value with cost or effort to implement – for every business scenario you wish to automate. 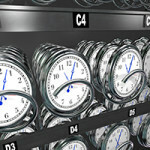 This also helps in deciding where to start with your automation. After all, you don’t want to invest precious hours in an effort that takes a long time and is of low value to the business. It could also be argued that Low Value and High Cost initiatives should never be tackled, but as we all know, sometimes we pursue projects that have an unknown return, because there is another agenda in play. If you have experience with similar situations, I’d be interested to hear about them specifically. We also know that sometimes what we think is high value turns out to be low value, and similarly what we think is simple to automate turns out to be incredibly complex.